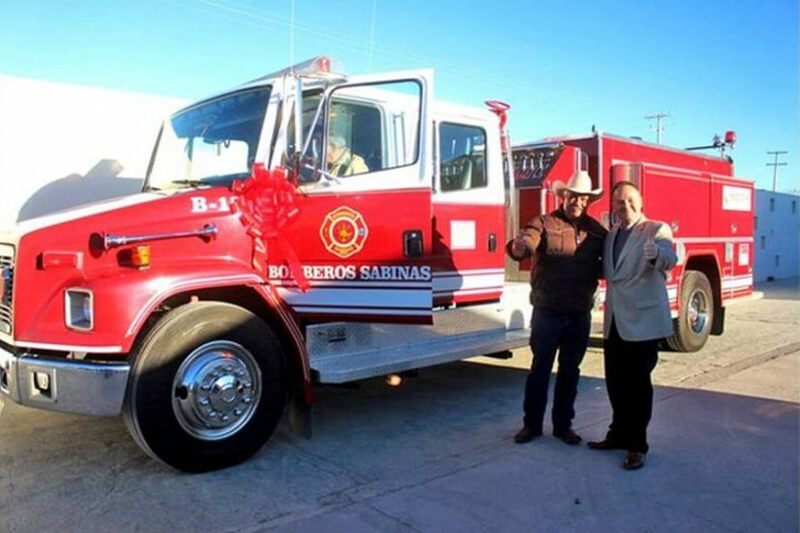 Due to the economic conditions of Sabinas, the city did not have a fire truck. So Avomex decided to help. On Dec. 14, 2018, MegaMex Foods and Avomex donated a fire truck to the local fire department. This was a major event in which several local authorities participated. The Mayor of Sabinas, Cuauhtémoc Rodríguez, received the keys to the truck from MegaMex Foods. The modern, fully equipped truck will be used to fight fires and help with other types of local emergencies. During the presentation, Mayor Rodríguez was accompanied by members of his staff; the Sabinas Fire Department chief; Hugo Marquez, general director of Avomex; Mauricio Peña, finance and administration director of Avomex; Fernando Portales, production manager of Avomex; Karla Weideman, vice of operations for MegaMex; Gene Novak, senior operations manager of Fresherized Foods; and other members of the Avomex organization.